Find A Way has been fortunate to work with some of the top basketball programs in the country. 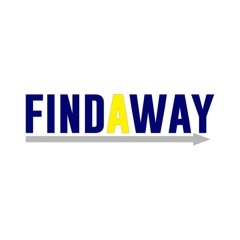 A few programs that have utilized Find A Way’s services are Indiana University, Bradley University, Loyola University, East Tennessee State University, and SIU-Edwardsville. I have developed into a coach that is willing to adapt, listen, stand strong, and admit that I do not have all of the answers. There are many times that as a coach I was simply “too close” to the situation. When you are in the trenches every day with your team you begin to see things only through your eyes and those immediately around you. Having a belief in something, having a culture you are building, and having conviction in what you are doing every day in your program is ultimately going to dictate where your program ends up. The best coaches are are willing to take information from a qualified person’s outside opinion and improve their program. I have been in 8 locker rooms as a member of a team over my years as a player and as a coach. Within those 20 years I have witnessed all types of ways to be successful. Find A Way is a company I run to help improve your locker room and program. Objectivity is key from a consultation point of view. I help give a staff and team the tools I have learned in my professional career after observing programs through video, verbal communication with the staff, observation of live games and practices, and conversations with the athletes. It is important to learn from others. Find A Way offers great insight into your team from a objective and non biased point of view. Find A Way is not a “feel good” about yourself company that simply comes into your locker room and office to point out all the great things a program is doing. I take the “BE REAL” approach. I will share honest opinions about my observation while offering suggestions whether they be about the good or things that could get better involving your program. Find A Way stands for exactly what it reads. Find A Way helps you “find a way” to get the job done. Whether Find A Way is hired to help with video, basketball, player communication, or program stability Find A Way will help your program move in a positive direction. For more information please contact Brian Barone through this site.